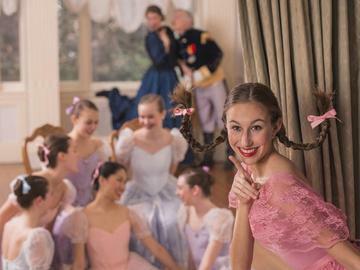 Follow the mischievious pigtail girl and all of the charming characters in our production of "Senior Ball" after David Lichine's original "Graduation Ball." Enjoy the showcase of 5 new choreographic works by Tara Shepard Myers, Mary Grace Phillips, Jennilee Garcia-Green, and Miriam Oropeza Ramos. The performances are offered in the beautiful Decatur High School Performing Arts Center. Tickets sell out quickly, so plan to make reservations early. Online ticket sales will close Friday, April 19th at 4:00 p.m.; any remaining tickets will be sold at the door on performance day.